CS has a mission to say you money and time on toner for Canon L-360 printers. One of these weeks your Canon L360 will consume all of your printer toner, and when that does happen you'll soon learn that purchasing Canon L360 toner is generally costly. Thank goodness you don't need to be anxious about coughing up the steep costs you'll see on the main street because now at Cartridge Save you can get all the Canon L 360 cartridges you will want at super low prices. Start to save money by shopping at Cartridge Save! Why pay high prices on the L-360 original cartridge or L360 compatible toner on the main street when you can easily save a wadge of money ordering with Cartridge Save. You enjoy full satisfaction by purchasing your Fax L360 toner cartridges from us because every single one is guaranteed by a quibble-free money back guarantee. Bear in mind that each and every purchase also comes with free delivery, normally delivered to your address the next working day! The Canon Fax-L360 laser fax is a fast, sturdy, and low-cost solution for home offices, corporate departments, and small businesses. With a PC connection option, the Canon L360 fax machine is versatile enough to be used as a printer for basic business correspondence and documents. Users also love the space-saving feature of this multi-function fax machine. 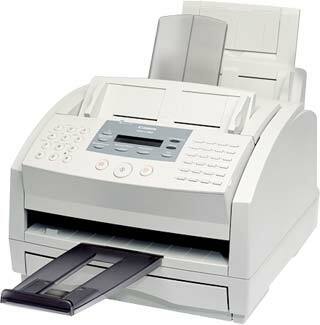 However, the Fax-L360 printer is quite heavy and is often criticised for limited telephony features. The semi-industrial appearance of the Canon L360 monochrome laser printer makes it easy to integrate into any office setting. Its compact 15-inch wide frame makes it a space-saver. The L360 Canon fax printer weighs a hefty 13kg, making it quite difficult to lift or set-up. It uses laser print technology, and users can easily operate the device with the help of the 2-line, 20-character display screen. Up to 350 sheets can be loaded into the input tray, while the document feeder can accommodate up to 30 sheets. It is quiet, fast, and with generous 400-page memory. Output is printed clearly and graphics do not lose much of their detail at 600dpi when printed on A4 plain paper. The Canon L360 A4 plain paper laser fax boasts a super G3 33.6Kbps fax modem and a robust laser print engine, which uses an all-in-one cartridge for more savings and cleaner output. The Canon L-360 printer is also an efficient copier with acceptable speeds of up to 6ppm. The Canon L360 toner cartridges are easy to replace and can produce crisp, finely detailed text with fine lines. Users need to buy an optional handset for the Canon Fax L360 laser printer if they wish to make the most of its telephony features. The boxy body might seem a little bulky for a standard-sized desk. Another problem with the Canon L360 fax is the busy control panel with several buttons, which makes the entire device intimidating to operate for first-time users.